This study examines multiple pathways by which maternal childhood sexual trauma may be related to the behavioral development of children. Propensity score matching procedures were used to create matched groups (total n = 204) of mothers who retroactively did and did not self-report childhood sexual trauma in a longitudinal sample of families living in poor, rural communities. 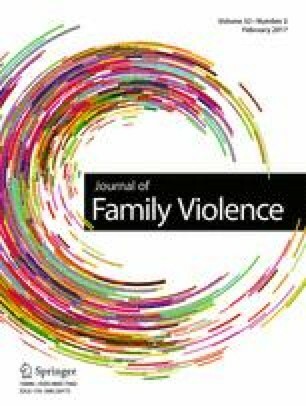 Using structural equation modeling, maternal characteristics and behaviors were examined as potential mediators of the relationship between maternal histories of childhood sexual trauma and children’s conduct problems. After controlling for numerous socio-demographic factors, analyses indicate that maternal depressive symptoms, intimate partner violence, and maternal parenting were significant mediators and highlight the lasting impact of childhood sexual trauma on victims and their children. *The Family Life Project (FLP) Key Investigators include Lynne Vernon Feagans, The University of North Carolina; Martha Cox, The University of North Carolina; Clancy Blair, New York University; Peg Burchinal, The University of North Carolina; Linda Burton, Duke University; Keith Crnic, The Arizona State University; Ann Crouter, The Pennsylvania State University; Patricia Garrett-Peters, The University of North Carolina; Mark Greenberg, The Pennsylvania State University; Stephanie Lanza, The Pennsylvania State University; Roger Mills-Koonce, The University of North Carolina at Greensboro; Emily Werner, The Pennsylvania State University and Michael Willoughby, The University of North Carolina. Support for this research was provided by the National Institute of Child Health and Human Development (PO1-HD-39667), with co-funding from the National Institute on Drug Abuse. Additional support was provided by the National Institute on Alcohol Abuse and Alcoholism (A12-0934) awarded as a predoctoral fellowship (F31) to the lead author.